The Australian ingredient you should try. Native Tamarind. When we think of tamarind it is usually only applied to the brown sticky pods that are ubiquitous throughout Asia and the Americas. In fact the terms is also used for other species which do not belong to the same family of Tamarind (Fabaceae) which is actually a legume. The Native Tamarind (Diploglottis australis) is actually a Sapindaceae that is only found in the rainforests of Eastern Australia. It is considered as an Australian native food and is used in gastronomy. 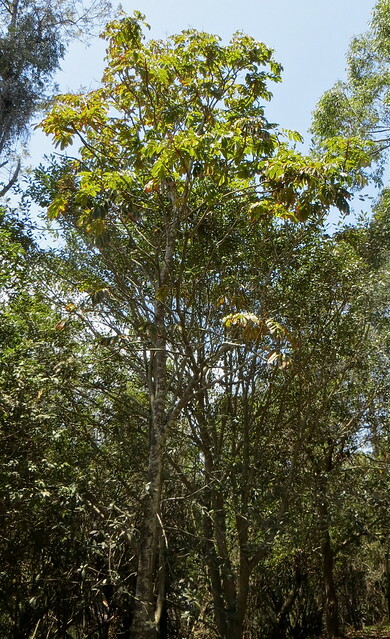 It is notoriously difficult to harvest because they grow high up with trees reaching 15metres. Usually they are collected when the fruits fall to the ground. This factor makes this interesting fruit complicated to commercialise. 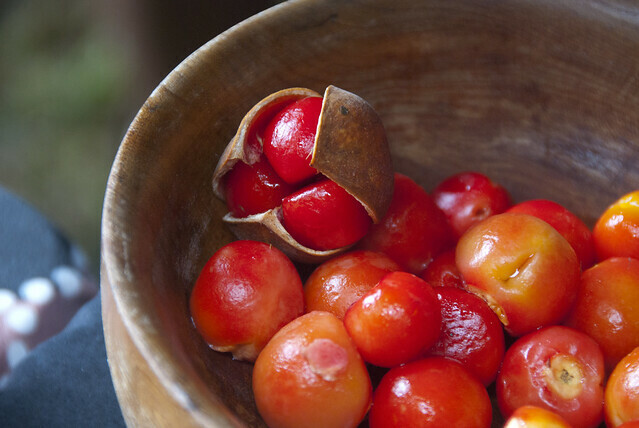 The aril of the fruit surrounding the seed may be eaten raw or added to jams and chutneys. Because of its very intense and sour flavour profile, it should be paired with more delicate ingredients like poultry, fish and seafood. It also is used as the basis for a tangy cool drink. If you ever get the chance to try this ‘bushfood’ while visiting Eastern Australia take it as you might not come across again.